I was reading about a 40 year old Mum who came third in a 10k with a time of 35:49. If you are not a runner, most people would be happy if they ran a 10K in double that time 1 hr 10 mins. The author was quite dismissive of her time because this lady holds the world records for women marathons set in 2005 and 10Ks set in 2003. Neither record has been beaten. The mum in question is Paula Radcliffe who has been unable to running for years due to injuries. Instead of applauding her tenacity the writer focused on the fact that Paula’s running time was 6 mins off her world record which she set over 10 years ago. Perhaps she has not realised that this will happen to her too, and it’s not just Paula who is getting older! Regardless, I think it is awesome that Paula has put herself out there. She must have taken the decision to run knowing not only does she have her own mind monkeys to wrestle with, that there will be people negative and dismissive about her hard won goals. Is she likely to have the same successes as she had 10 years ago? Who knows, but the point is she not let anyone stop her. She runs because she loves it and it is her passion. How often have you stopped doing something or not started because of what someone will think of you? Or because it may be as perfect as you want it to be? Or you may not be as awesome as you were 10 years ago. Or the time is not right – your ducks aren’t quite lined up! I think we all have. Most women I coach are their own harshest critics. Finding some empathy for yourself and the stage of life you at is key to moving forward if you are stuck. Is it time for a reframe? Running times -and most fitness measurements – are banded by age which makes it easier to find a realistic time to aim for. How can you reframe your goals, instead of comparing with your 20 year old self? Do you know who the negative Nelly’s and the dream stealers are that surround you – we all have a few. Sometimes they are friends and family, sometimes it a complete stranger that voices their opinion which cause us to stop in our tracks. Now these people aren’t necessarily bad or mean people. They may not know the impact their words have on you. 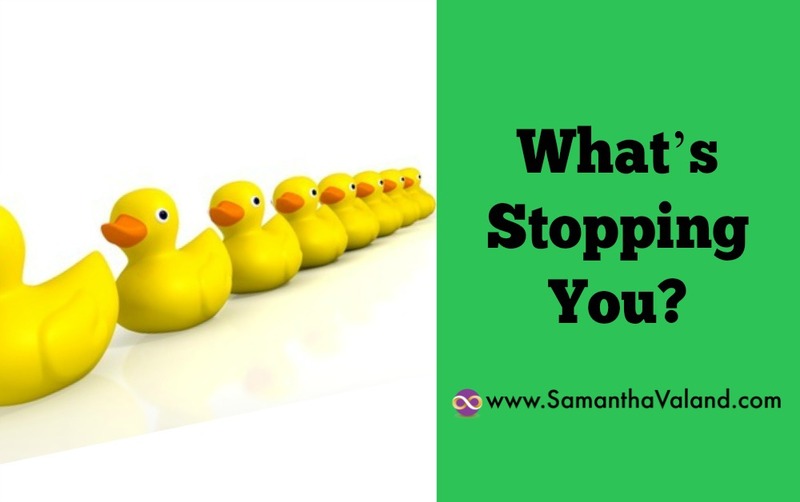 Are you going to let them stop you or can you reflect on why they make you feel that way? You are the only one who can make the change. The time is now – what are you waiting for!